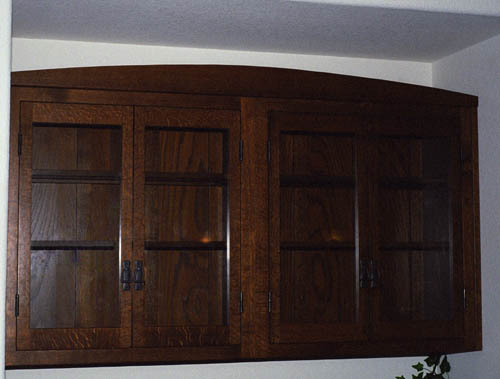 A gentle arc frames the top of this wall hung mission style cabinet. 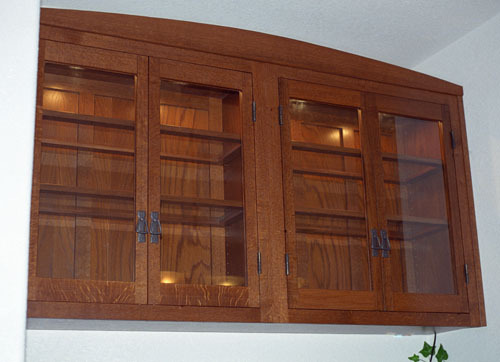 Constructed of quarter sawn white oak and finished with lacquer over an aniline dye. The interior has adjustable glass shelves in a white oak frame and is illuminated with halogen lights.